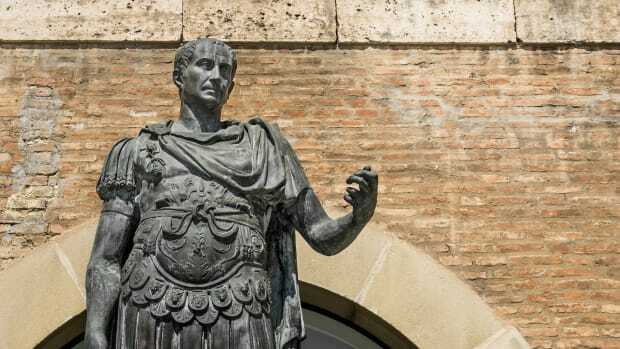 As the first Roman emperor (though he never claimed the title for himself), Augustus led Rome’s transformation from republic to empire during the tumultuous years following the assassination of his great-uncle and adoptive father Julius Caesar. 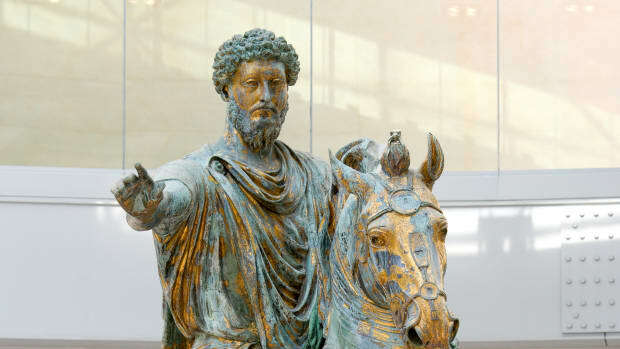 He shrewdly combined military might, institution-building and lawmaking to become Rome’s sole ruler, laying the foundations of the 200-year Pax Romana (Roman Peace) and an empire that lasted, in various forms, for nearly 1,500 years. Of Augustus’ many names and honorifics, historians favor three of them, each for a different phase in the emperor’s life. From his birth in 63 B.C. he was Octavius; after his adoption was announced in 44 B.C., Octavian; and beginning in 26 B.C. the Roman Senate conferred on him the name Augustus, the august or exalted one. 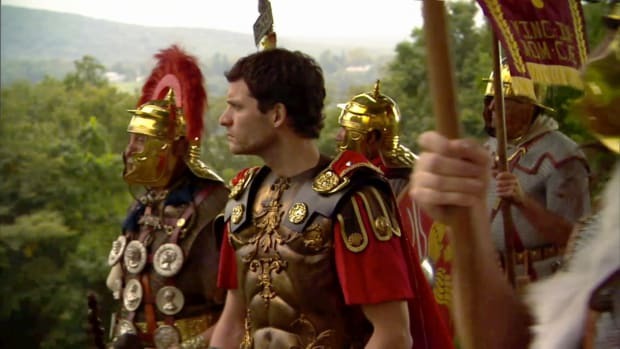 He was born Gaius Octavius Thurinus in Velletri, 20 miles from Rome. 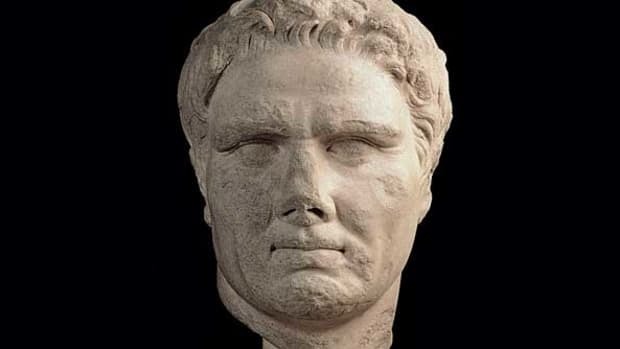 His father was a senator and governor in the Roman Republic. His mother Atai was Caesar’s niece, and the young Octavius was raised in part by his grandmother Julia Ceasaris, Caesar’s sister. Did you know? In 8 B.C. Augustus had the Roman month of Sextilius renamed after himself—as his great-uncle and predecessor Julius Caesar had done with July. August was the month of several of the emperor&apos;s greatest victories, including the defeat and suicide of Antony and Cleopatra. He did not increase the month&apos;s length, which had been 31 days since the establishment of the Julian calendar in 45 B.C. 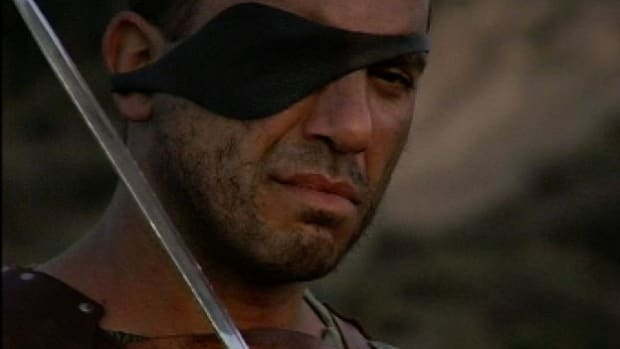 Octavius donned the toga, the Roman sign of manhood, at age 16, and began taking on responsibilities through his family connections. In 47 B.C. he went to Hispania (modern-day Spain) to fight alongside Caesar. 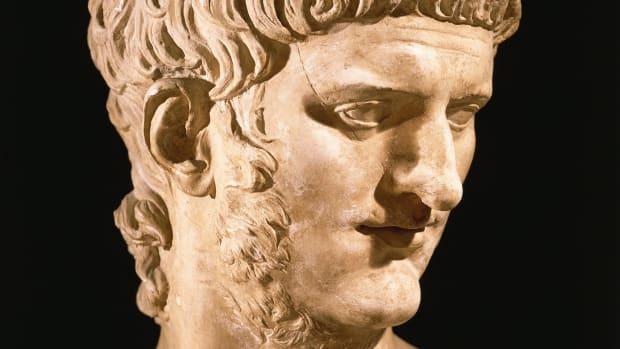 He was shipwrecked along the way, and had to cross enemy territory to reach his great-uncle—an act that impressed Caesar enough to name Octavius his heir and successor in his will. The 17-year-old Octavius was at Apollonia (in present-day Albania) when the news of Caesar’s death and his own inheritance arrived. 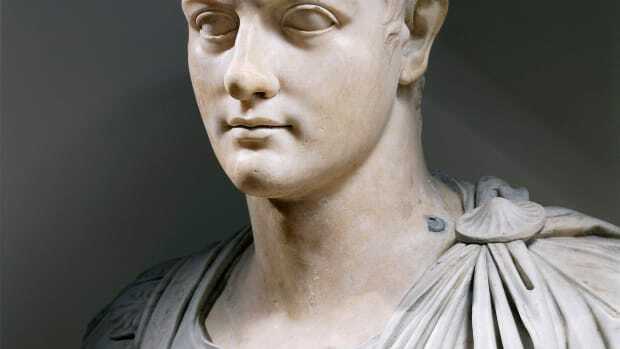 The dead ruler’s allies, including many in the senate, rallied around Octavian against their powerful rival Mark Antony. 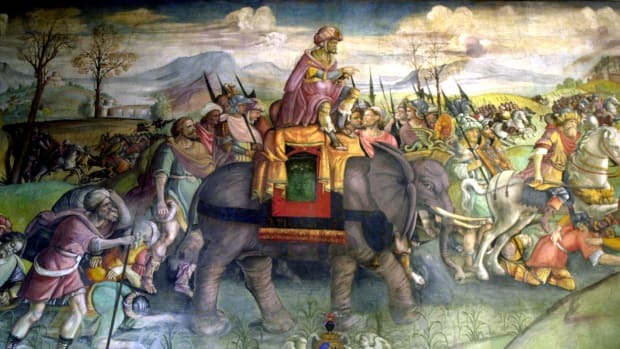 But after Octavian’s troops defeated Antony’s army in northern Italy, the future emperor refused an all-out pursuit of Antony, preferring an uneasy alliance with his rival. In 43 B.C. Octavian, Antony and Marcus Aemilus Lepidus established the Second Triumvirate, a power-sharing agreement that divided up Rome’s territories among them, with Antony given the East, Lepidus Africa and Octavian the West. 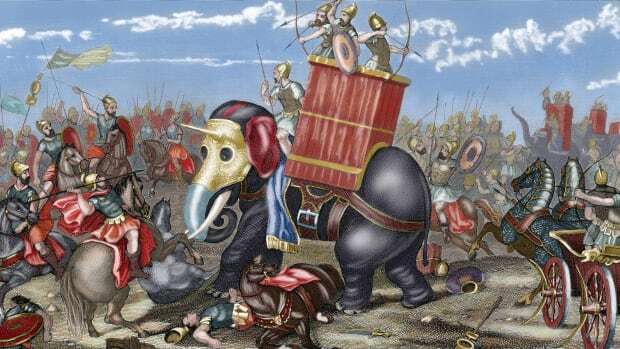 In 41 B.C. Antony began a romantic and political alliance with Cleopatra, queen of Egypt, which continued even after a Senatorial decree forced his marriage to Octavian’s sister Octavia Minor. Lepidus remained a minor figure until Octavian finally had him ousted after the triumvirate’s renewal in 37 B.C. Antony’s affair with Cleopatra continued, and in 32 B.C. he divorced Octavia. In retaliation, Octavian declared war on Cleopatra. In the naval battle of Actium a year later, Octavian’s fleet, under his admiral Agrippa, cornered and defeated Antony’s ships. 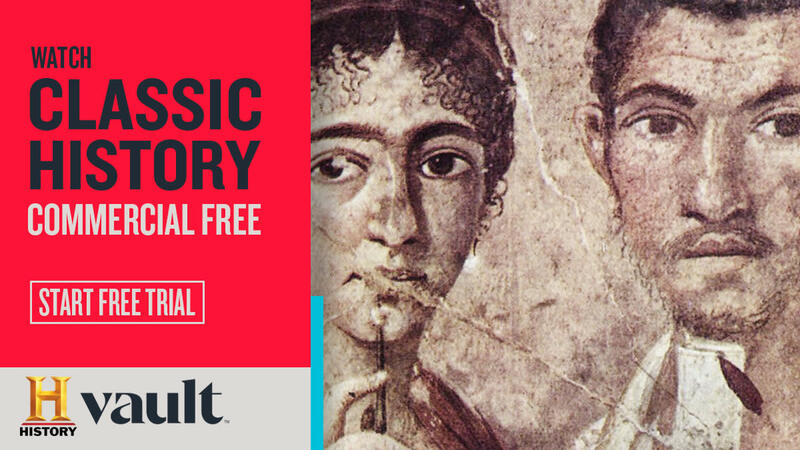 Cleopatra’s navy raced to aid her ally, but in the end the two lovers barely escaped. They returned to Egypt and committed suicide, leaving Octavian as Rome’s undisputed ruler. Historians date the start of Octavian’s monarchy to either 31 B.C. (the victory at Actium) or 27 B.C., when he was granted the name Augustus. In that four-year span, Octavian secured his rule on multiple fronts. 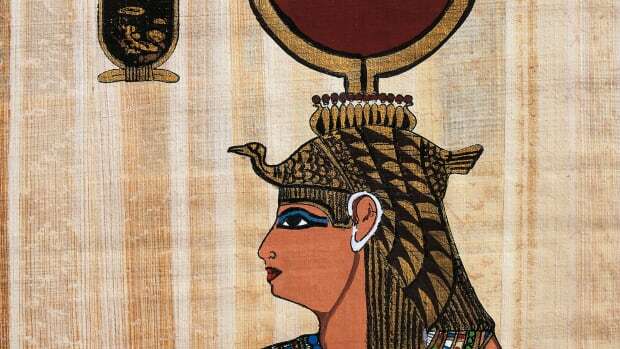 Cleopatra’s seized treasure allowed him to pay his soldiers, securing their loyalty. 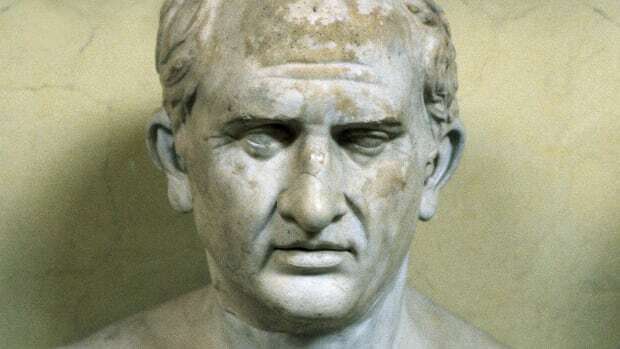 To mollify Rome’s Senate and ruling classes, he passed laws harkening back—at least on the surface—to the traditions of the Roman Republic. 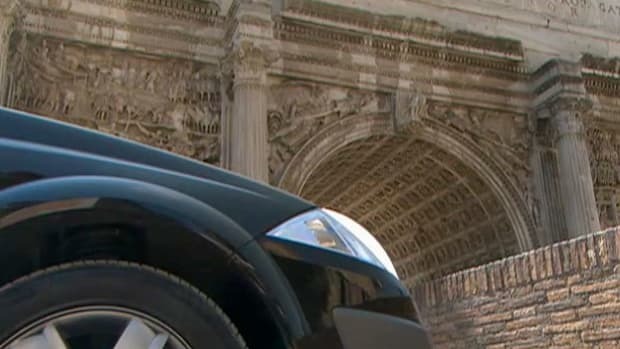 And to win over the people, he worked to improve and beautify the city of Rome. 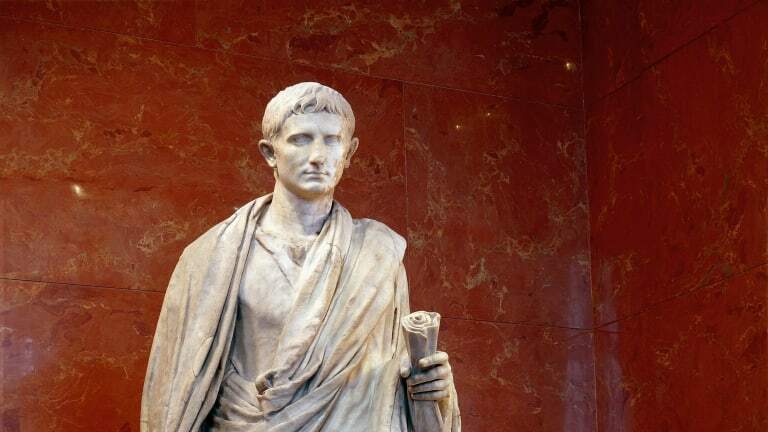 Augustus Caesar died in A.D. 14, his empire secured and at peace. 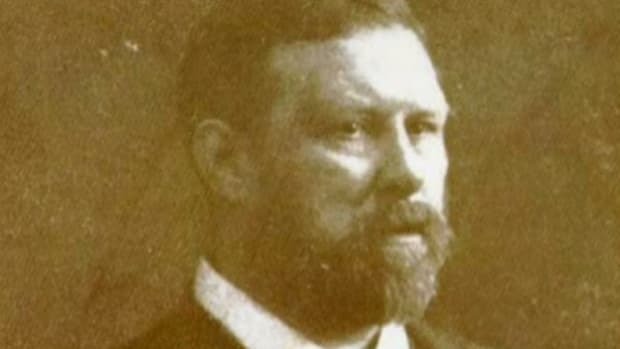 His reported last words were twofold: to his subjects he said, “I found Rome of clay; I leave it to you of marble,” but to the friends who had stayed with him in his rise to power he added, “Have I played the part well? Then applaud me as I exit.” Soon after that acknowledgement of human frailty, the Roman Senate officially declared their departed emperor, like Julius Caesar before him, to be a god.